entitled to the same dignities and survival. in so doing, inevitably alter that Circle. within that Circle, for our Mother, the Earth. 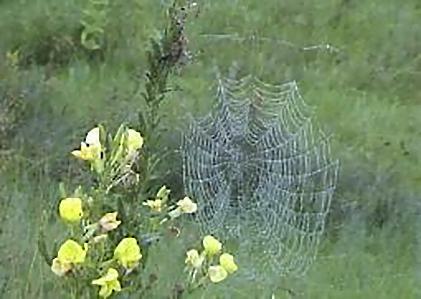 Evening Primrose (Oenothera biennis) with Spider Web by a charming unidentified Weaver.